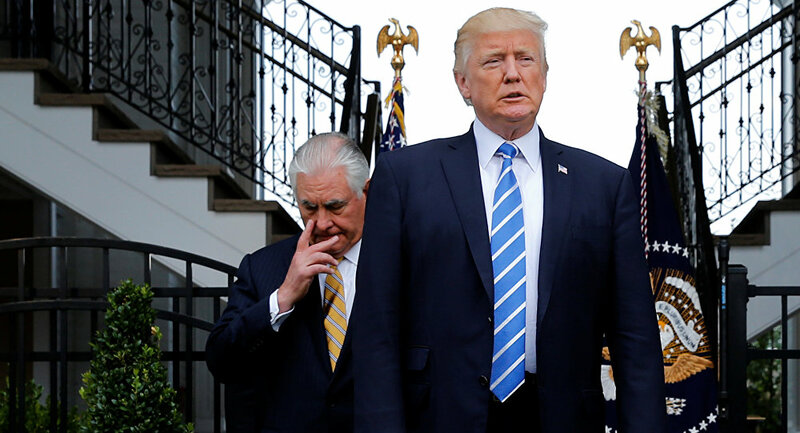 US President Donald Trump has sacked his Secretary of State Rex Tillerson and replaced him with former CIA chief Mike Pompeo. Dr. Jeanne Zaino, American political analyst and professor of Political Science at Iona College, has shared her views on the repercussions of the move, with regard to Russia in particular, in an interview to Sputnik. Sputnik: This appointment came just after he agreed to talks with the North Korean leader Kim Jong Un. How do you think this is going to affect the talks with North Korea? Dr. Jeanne Zaino: Rex Tillerson has been very clear and I think most foreign policy experts agree with him that you don’t enter this kind of talks in this kind of haphazard way, they seem to have been fed up without an agenda, with that lot of work. I think Rex Tillerson was taken aback by the way in which the President had done this [via Twitter] and the fact that the President disregarded his device on this issue. So, in terms of the talks themselves, with Mike Pompeo, if he gets confirmed by the Senate, which is another big "if", we have somebody who seems to support the President wholeheartedly on these talks. Sputnik: If he doesn’t get confirmed, what’s going to happen? Dr. Jeanne Zaino: The President is going to have to look elsewhere, and it’s still one of the challenges he faces. There are still so many open positions in the administration and he’s had a record number of people leaving – almost three times as many as most recent presidents in the first year. One of the challenges he has is that he hasn’t been able to find talented people who are willing to jump on to this kind of rollercoaster ride that he is on. Sputnik: What can we expect to see from Pompeo in the way of relations with Russia? Dr. Jeanne Zaino: This is what we don’t know. If he is going to join with the President, he is going to have muted reaction to things like the issue involving Theresa May, and he is going to take those<…> standards — President Charm, muted reaction, say very little about Putin, say very little about Russian meddling, say "there’s nothing to see here" about the Russian collusion investigation. This has been a concern a lot of people have had about this administration. With people on their way out, people having just left (we are also hearing McMaster [White House national security adviser] may be next to go) the President is losing something that many people describe as "grownups in the room" – the people who would tell him that they didn’t agree and there is another side to what he was thinking and they should consider other options.